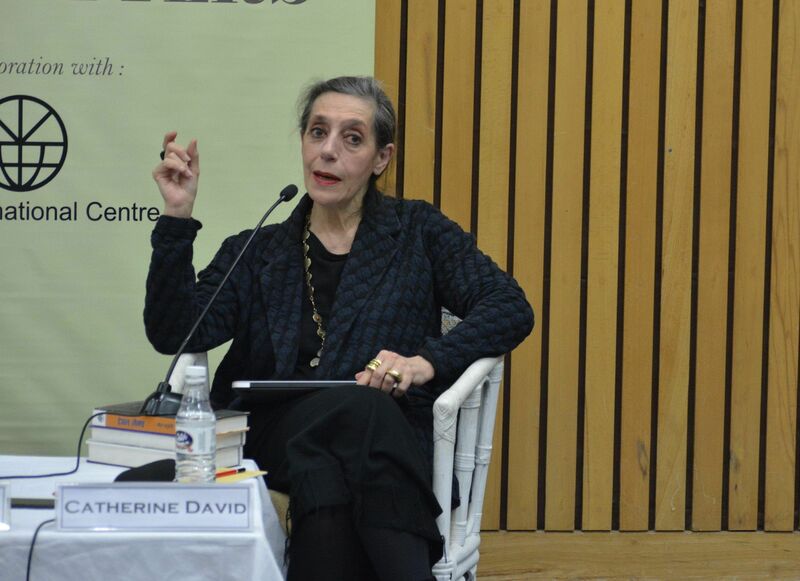 Not looking to define or redefine Indian modern art, French art historian Catherine David says that Indian modern art, just like other modern art is transnational but before that, it is trans-regional. "I think that modernity in India is, before being transnational, trans-regional. We have to keep in mind that at a time, India was also Bangladesh and Pakistan. You cannot avoid it. Apart from being trans-regional, India is also trans-local because here, you have many localities and exchange between different practices," David said. She was speaking at the India International Centre on the invitation of the Raza Foundation to share opinions on 'Indian Modernism' during Raza Utsav's Art Matters. ‘Art Matters’ is a running series of panel discussions and dialogues on arts and culture held at the India International Centre, New Delhi. Over the years, the popular forum has witnessed conversations with eminent personalities and expert practitioners drawn from the world of ideas, literature, visual arts, performing arts, among other disciplines and traditions. Raza Utsav is an annual multi-venue festival organised by the Raza Foundation which features visual arts, poetry, classical music, classical dance and ideas. This year, the festival will witness thousands of art enthusiasts and artists joining the Raza Utsav in the national capital from all over Asia until March 3. 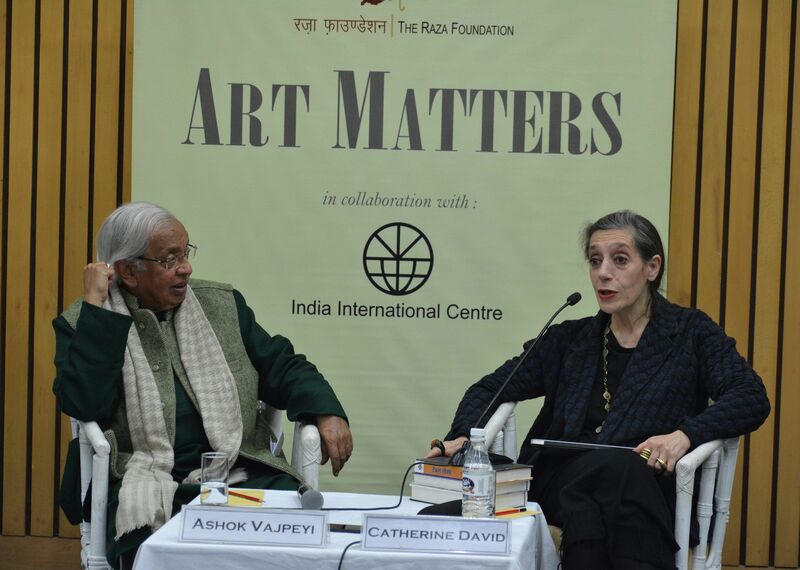 Reminiscing on the founder of the Raza Foundation Late Sayed Haider Raza, David said that Mr Raza was a man who liked to maintain his connection to his country even after being in Paris. "He kept a strong intimate connection to India and his Indian peers. Maybe not on a daily basis because there was no internet at that time but when you think about that time, he used to write letters on a regular basis," she smilingly said. Catherine David is the deputy director of the Musée National d’Art Moderne at the Centre Pompidou in Paris, where she has spearheaded an internationally diverse program. From 1982 to 1990, David was the curator at the Musée National d’Art Moderne, Centre Georges Pompidou, Paris, and from 1990 to 1994 she was the curator at the Galerie Nationale du Jeu de Paume, Paris. From 1994 to 1997, David served as artistic director for Documenta X in Kassel, Germany (1997). Modern art in India or anywhere in the world, she says, can be better understood, shared and shown when the exhibition of that art takes place in the origin country or region and people come and experience it. "If you have to deal with Indian art then you have to be in India," she said. "A lot of people in European and other countries have a filtered sense of Indian art because of a certain market," she added.